40355 RA6362.jpg 500X638\RA6362.jpg 40356 RA6362_1.jpg 500X638\RA6362_1.jpg Send A Hint! 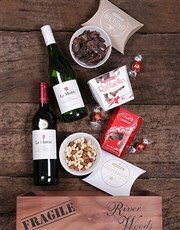 Product Description: less text Spoil a loved one with this crate full of gourmet excellence! 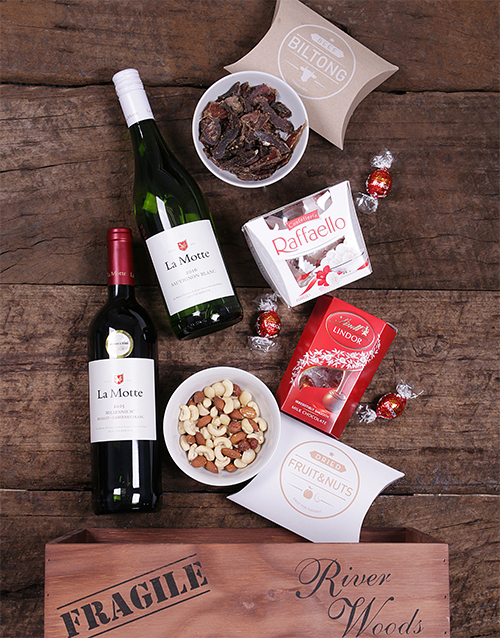 Included is a bottle of La Motte Millenium, La Motte Sauvignon Blanc, a pack of Raffaello Truffles (150g), a Lindt Lindor Milk cornet (125g), sliced beef biltong (100g), and mixed nuts (100g). Send now for any occasion! 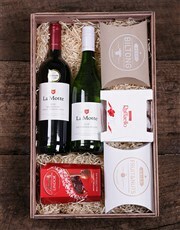 Get this La Motte Duo Gourmet Crate delivered with NetFlorist.